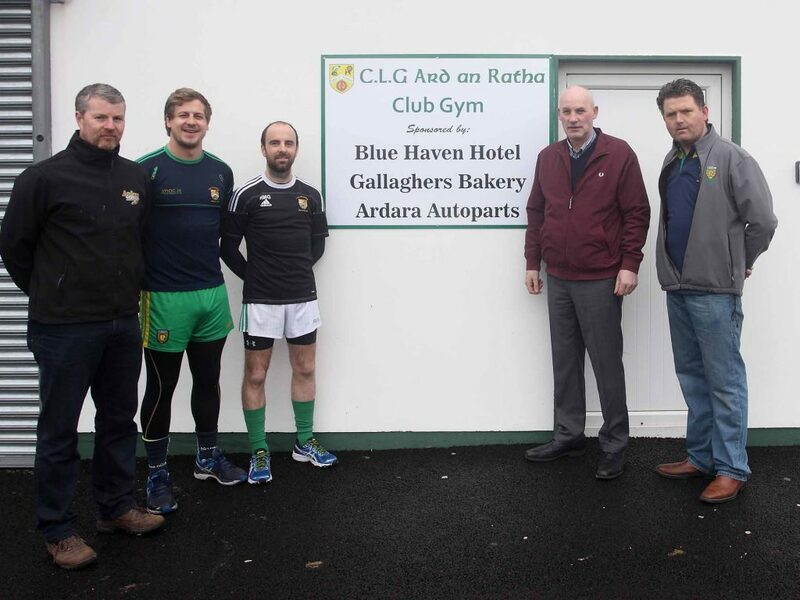 Ard an Ratha officially launched their new fitness room at the weekend with a variety of state-of-the-art strength and conditioning equipment now available to its members. 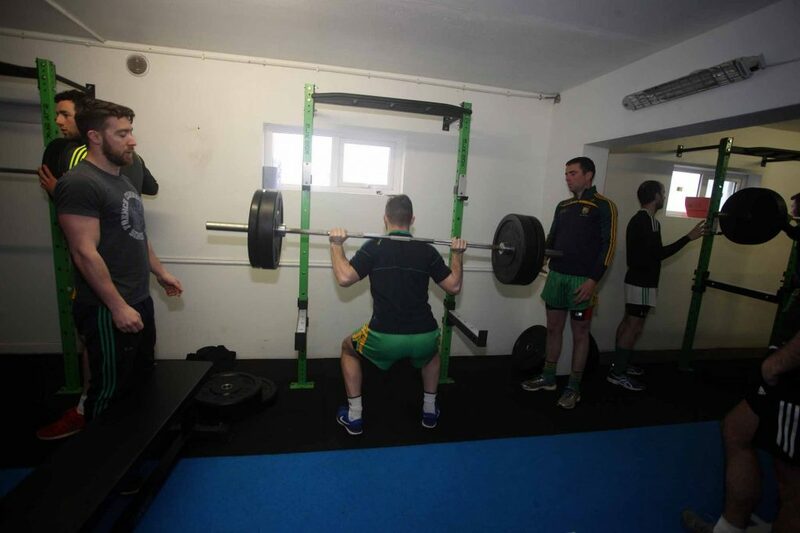 The senior side, the team management and a number of sponsors were present on Saturday morning last for the first group training session under the watchful eye of Declan ‘Jig’ Gallagher, a strength and conditioning coach with the Donegal senior footballers as well as his home club in Pearse Park. Development at the club has continued to expand in recent seasons with the additions of a new floodlit playing pitch, seated stand and modern clubhouse. However, captain of the Ard an Ratha seniors, Conor Classon, says that the latest addition is one of the most important yet. “We’re delighted to have the new strength and conditioning room finally completely kitted out,” he said. “It’s vital now for any club that wants to be competing at the top level to have all of this available to them. “As well as sessions on the field, you need to be getting the right work done in the off season here to make sure you’re ready for that side of things. Strength and conditioning lends itself to so many aspects of football now. Of course, there is the obvious but it’s also crucial to injury prevention. “We’re very lucky that ‘Jig’ (Declan Gallagher) is here supervising and for any of the younger minors or U21s just getting into this area of things; you couldn’t have better guidance. The official opening was performed by Adrian Brennan, Ardara Autoparts (minor manager and sponsor), Conor Classon (senior captain), Terence Molloy, Blue Haven Hotel (sponsor), Kevin ‘Larry’ Gallagher (club chairman) and Nicolas Maguire of Gallagher’s Bakery (sponsor). 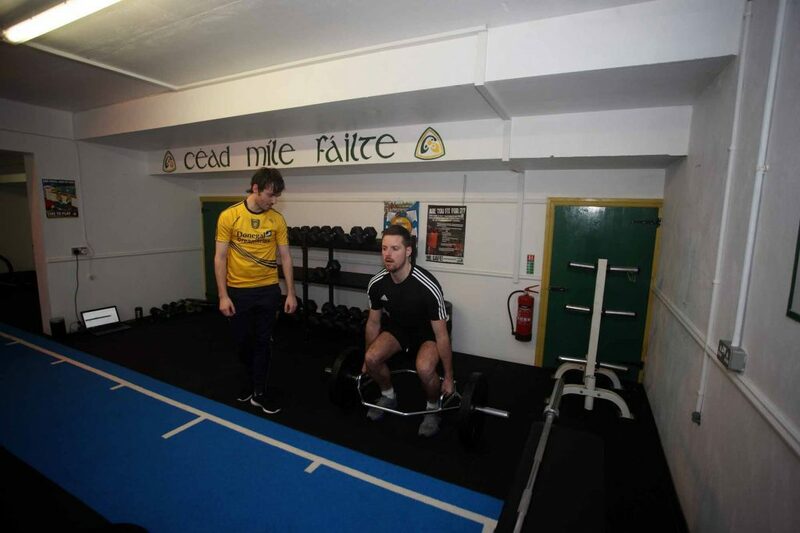 Senior players using one of the many weight machines at the new strength and conditioning suite at CLG Ard an Ratha. PHOTOS: Ciara, JMAC. Declan ‘Jig’ Gallagher puts Ardara full-back Declan Gavigan through his paces.